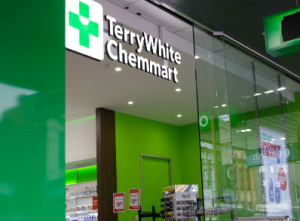 We’ve talked about TerryWhite Chemmart previously when we highlighted their campaign to improve the health of Australians. It is a true example of empowering patients to take control of their recovery with support (Team Effort) through education of self-care with the help of the pharmacist. “The Alive and Well campaign focuses on our commitment to provide the most qualified pharmacists, the best advice and a price match guarantee on everything storewide.” (Mr White, TerryWhite Chemmart). Since this merger, revenue has increased by 177% to A$91mn (US$72.4mn) in the 12 months to June 2017 and the number of stores have doubled to 500. As individual brands Terry White and Chemmart have “a strong heritage and high levels of consumer awareness, which is why the new retail brand retains and leverages these valuable characteristics” (Anthony White). In the market, there are opportunities for TerryWhite Chemmart to further increase their revenue. With PBS reforms reducing dispensary sales, pharmacies can focus on front-of-shop products such as OTCs and cosmetics to boost revenue as well as introducing a personalized customer experience through pharmacy point-of-care services. The future of pharmacies is undoubtedly through the people and it is therefore essential that marketers build and increase their dialogue with pharmacists through consumer awareness of OTC medicines. The development of skills in consumer engagement in the pharmacy marketplace is essential if marketers want to survive in a increasingly fluid market, moving towards enabling consumers to manage their own self-care. These skills form a key element of the training within ‘Winning The Future and develop Insight And Innovation Strategies For A Successful Future In Consumer Healthcare’. 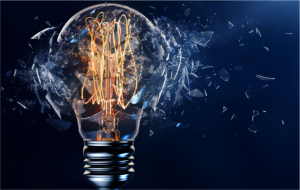 Marketers need to begin learning from key insights and predictions for the future of the global and local consumer healthcare market and develop an understanding of key innovation strategies to move forward and grow their brands. This in turn can lead to optimising strategy and performance. Find out more on our Sydney Workshop page or contact maricar.montero@NicholasHall.com today!